Here’s the thing. Blogger writes about Salman Khan. Salman Khan calls the blogger, gets the article removed. Blogger offers apology – says he’s been through excruciating time and is taking a break from blogging until he’s in the right frame of mind. First when I heard this story, I thought it’s a joke. It wasn’t. The cached version of the story he published initially (deleted later) here. Soumyadipta has not made it clear as to why he is deleting the story, apart from the fact that he received “communication” from Salman Khan to delete it. I do not know if the story was false or incorrect. But from what is seen and can be understood from the post and the apology later, it appears that, Mr. Salman Khan is not happy with the story published and instead of correcting it (if inaccurate), wanted it removed. This really interests me and makes me curious for two things. 1. Are bloggers/journalists under pressure in India, and limited in their freedom of expression? If yes, what is the right thing to do? What are the options? Could writing about someone (an already published story in this case) prove defamatory? Is it bad? 2. Why did Mr. Salman Khan have the post removed? Well, that actually makes it more than two, but whatever! I can’t possibly get answers to these questions myself, hence opening it up for your thoughts. The article that was removed by the blogger is given below in its entirety. Obviously, this article is either a) completely inaccurate or/and wrong/fake. or b) true and someone wants to brush it under the carpet. These are not my thoughts, but a duplicate copy, as-is available on Google servers (cached copy). Like how they deal with a hardened criminal, a task force was prepared to nab Patil and find out where he was ‘hiding’. Finding him was easier than anybody had thought because Patil was not hiding anywhere. Ravindra Patil was actually staying in a small hotel in Mahabaleswar, just a few kilometres away from Mumbai. He would come to Mumbai often to meet his wife and family. He was not on the run from the police and was going around telling everybody that he wanted to stay away from the Salman Khan case. Here are pictures after Patil’s arrest post a raid at a Mahabaleshwar hotel. After Patil was let out of jail, he found himself in a strange situation — his family had disowned him and the Mumbai Police was not ready to take him back. Patil didn’t know what to do — suddenly he was the victim because he saw the accident and spoke about it. Here are some moving pictures of Ravindra Patil, just days before his death. 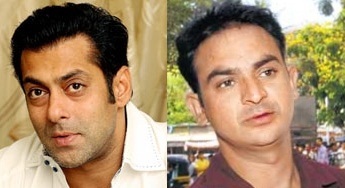 Constable Ravindra Patil’s eye-witness accounts are still the most important documents in the 2002 Hit-and-Run case involving Salman Khan. It is now a case of homicide after a thorough re-examination of other witnesses. Salman Khan faces a 10-year jail term in the case if he’s convicted. Before we end, here is a news report about Patil after he was discovered just days before his death.